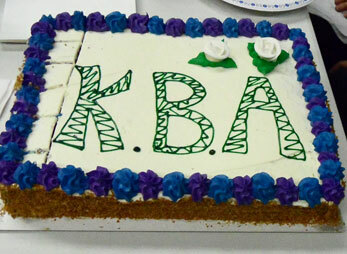 The KBA was formed twenty years ago by a group of people interested in various aspects of blacksmithing. Our members range from full-time professional smiths, part-time smiths, and hobbyists. Membership is open to all! We meet officially twice a year, in the spring and fall, and occasionally a one-day hammer-in will take place among members living close together. Our next event will be the 2016 Spring Conference on May 7th and 8th, at Kootenay Forge in Crawford Bay. See “upcoming events” page. Yes, Kootenay Blacksmiths Association was 20 years old last year. We celebrated at our Spring Conference in May with this big, beautiful (and yummy!) cake.